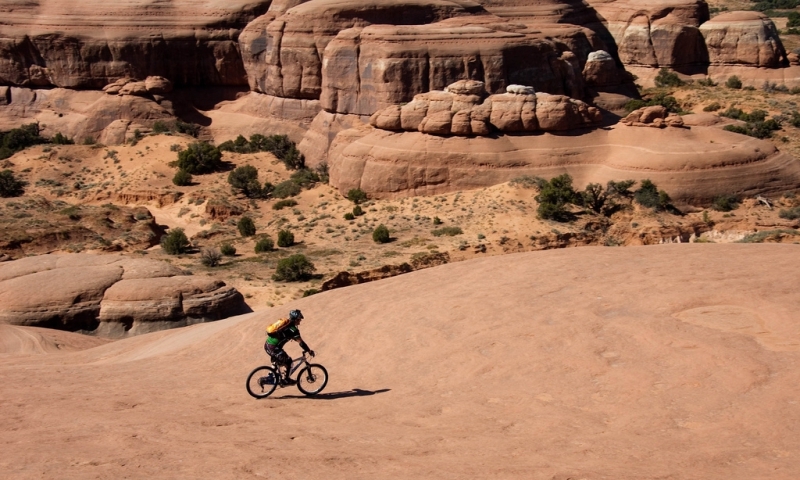 Located north of town, Bartlett Wash offers a taste of riding slickrock. It's not as well developed as Slickrock Trail proper but it's a fun less-busy trail that has a component of choose-your-own-adventure. The beauty of this trail is that it's not really a trail at all. You'll need to be in the mindset for exploring and playing. At the start of the trail, follow white spray-painted dots around a sandstone wall of rock until the slickrock expanse opens up. 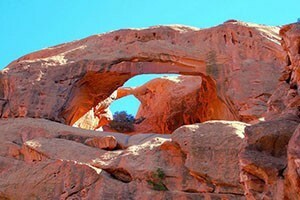 The open slickrock area will be obvious and this is your sign that your exploration can begin. Poke around, pick a line, and ride through bowls, drops, wall rides, chutes and half-pipes. The most common way to ride this area is to play around until you get bored and then return the way you came. Otherwise, you can continue out to the point and then drop down into the bottom of Hidden Canyon, following the sandy jeep road back to your car. Distance: 2.8 miles one way. Average Time: 1 to 2 hours. Trail Type: Out and Back or Loop (if you return to your car via sandy 4x4 roads). 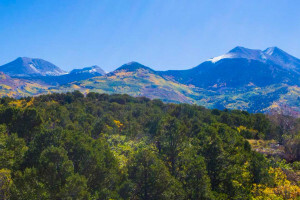 Trailhead: From Moab, head north for about 17 miles (14 miles north of the Colorado River). Turn left onto Blue Hills Road, just 1 mile south of the airport. Drive for 2 miles and take the only left. Then continue on until you see the Bartlett markers. The BLM has opened this trail up as a Free Ride Mountain Bike area. Make sure you stay on the slickrock! That means no riding over vegetation or across cryptobiotic soil.